GOOD PRESS GALLERY was formed in October 2011 in Glasgow, Scotland, and presents visual art, contemporary illustration, self & independently published zines, books and other printed matter. 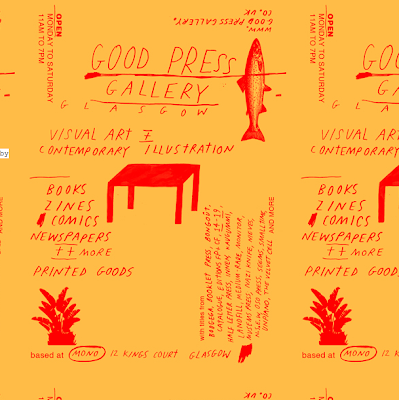 The people of Good Press also run Museums Press. Casa Fibra - Publishing house, etc.